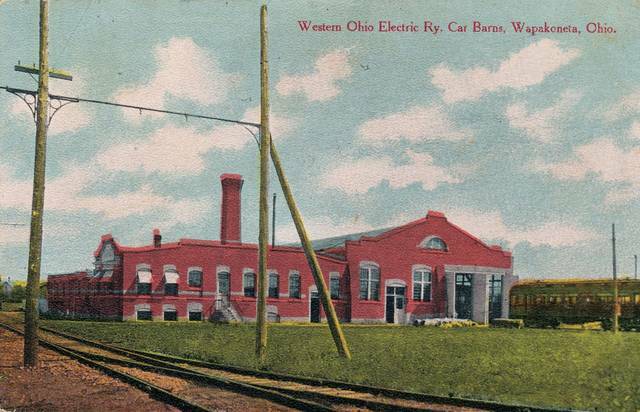 Western Ohio Electric Railway car barns open house, 1-4 p.m., behind the Auglaize County Engineer’s office, 1014 S. Blackhoof St., Wapakoneta. Free admission. WAPAKONETA — The Auglaize County Historical Society will hold an open house of the Western Ohio Electric Railway car barns from 1 to 4 p.m. Sunday, Sept. 9, at 1014 S. Blackhoof St., Wapakoneta. Admission is free. The Western Ohio Railway was organized at the turn of the 20th century and began accepting passengers and freight in 1902. It connected Minster to St. Marys and Celina to St. Marys to Wapakoneta. From Wapakoneta, the route went north to Toledo and Cleveland and south to Dayton and Cincinnati. The electric railway was an important method of transportation for the rural and small town residents, as many did not own automobiles. With the advancement of automobiles, the interurban system was doomed. The Western Ohio Railway ceased operations in January 1932. This entry was tagged 090918. Bookmark the permalink.